When the new gTLD program launched in 2012, more than 550 of the world’s largest companies applied for their own .brands to defensively protect trademark(s). Fast forward by a few years: noticeable shift is happening. .Brands are being adopted globally at unprecedented levels and are helping organizations to distinguish themselves on the Internet by enhancing brand recognition, increasing customer trust and providing better control of online presence. View a conversation with MarkMonitor’s Director of Internet Policy & Industry Affairs, Brian King, and Neustar’s .brand expert, Tony Kirsch, as they provide an up-to-date analysis of the global .brand Program, including trends, guidance and key considerations for applying in the next round. 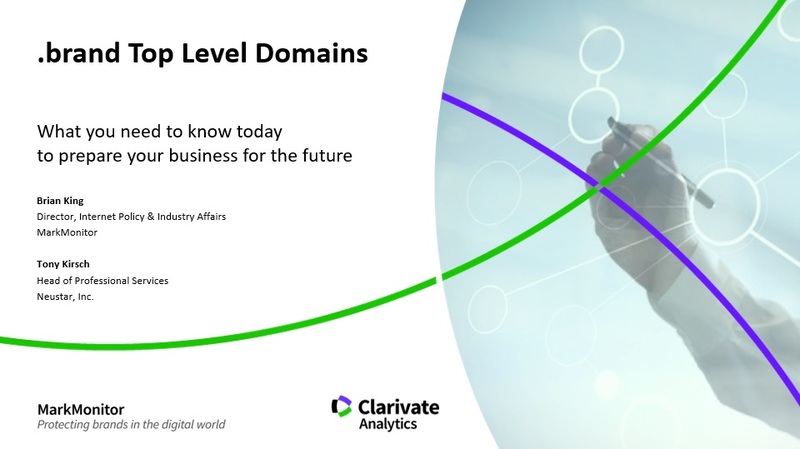 Please complete this form below to view the webinar .Brand Top Level Domains: Preparing your business for the future.